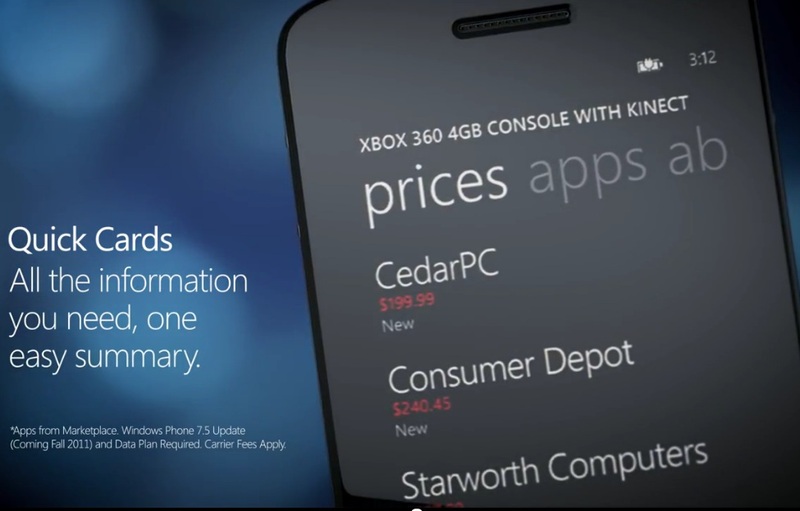 Weekend watch: Even more Windows Phone promo videos. A follow up on the last batch of Windows Phone videos. @ChanseArrington tweeted about a new Windows Phone promo (new to me anyway) and it seems there were a whole bunch of other demo videos there too. Firstly, these adverts are pretty good looking. Using the phone and the UI to show off, not glitsy artsy-fartsy nonsense crap. I guess you have to being it’s a MS video about WP only, but still. Overlay a narration and that would make a decent TV ad. Much better than a lot of what Nokia’s done lately. These videos now have a theme of things built in to Windows Phone. Windows Phone with Bing Search Built-in.